Marty has served as South Dakota’s Attorney General, United States Attorney for South Dakota, and Chairman of the Nation’s Attorneys General. As a partner, he specializes in complex business and litigation issues, engineering and construction disputes, agricultural and governmental law. Marty was raised in Sturgis and graduated from the South Dakota School of Mines and Technology with his Bachelor of Science degree in Electrical Engineering with Honors. He received his law degree from the University of South Dakota School of Law. Marty served as a law clerk for former Chief Judge Richard H. Battey in federal district court and then became a partner of the Gunderson Palmer law firm. In 2006, Marty was appointed and unanimously confirmed by the US Senate as US Attorney for South Dakota. As United States Attorney, he served as the chief law enforcement officer and legal advisor for federal issues in South Dakota. Marty was named the South Dakota Prosecutor of the Year in 2008 from the South Dakota State’s Attorneys Association. In September of 2009, Marty was appointed Attorney General by Governor Mike Rounds. 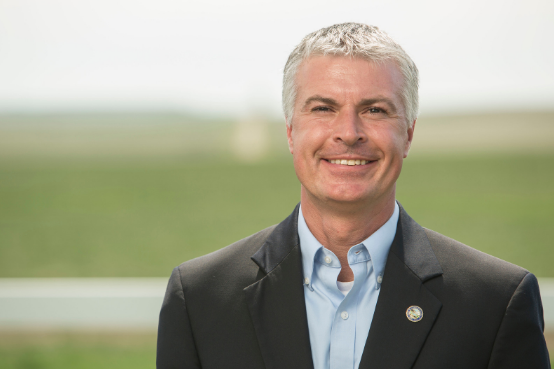 In 2010 and 2014, Marty was overwhelmingly elected as South Dakota’s Attorney General. As Attorney General, he served as the chief law enforcement officer and legal advisor for the State. Marty has served as the Chairman of the National Association of Attorneys General and the Conference of Western Attorneys General. In 2016, Marty was honored to receive the National Kelley-Wyman Outstanding Attorney General award. In 2018, Marty successfully argued before the Supreme Court of the United States in South Dakota v. Wayfair, providing Main Street businesses across South Dakota and the nation a level business playing field. He has extensive trial and appellate experience in state and federal courts having personally tried capital murder cases, a no body homicide, the 1975 murder of Annie Mae Aquash and public corruption cases. In January 2019, after serving as Attorney General and US Attorney, Marty returned to Gunderson Palmer law firm as a partner opening up the Pierre branch office by the State Capitol.